Not only does Peninsula install oil furnaces, but with a service contract we also provide heating oil delivery as well as oil furnace maintenance! For all your oil furnace needs in Delaware and Maryland, call Peninsula! 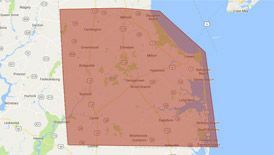 If you need furnace services in Delaware or Maryland, call Peninsula today at 302-629-3001302-629-3001 or click here! The most important day in the life of your oil furnace is the day it’s first installed. Your furnace’s efficiency, reliability, and even its lifespan are all affected by how well it’s sized to your home and ducts, how carefully it was adjusted, etc. 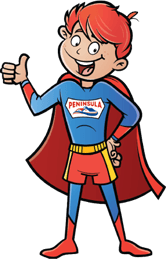 So if you want your furnace to run at its best for years to come, call Peninsula! We’ve been providing oil furnace installation in Delaware and Maryland for almost 80 years, and our licensed technicians will ensure you get the most reliable oil furnace installation possible. If you’re ready to experience the unbeatable warmth of an oil furnace, call Peninsula. We’ve been installing oil furnaces in Delaware and Maryland since 1935 and we do what it takes to make sure you can rely on your furnace for a long time. Whatever problems you may be having, the pros at Peninsula have the skills and experience to get your oil furnace running smoothly again. Our experts can handle any furnace repairs you may need, large or small. Don’t wait until your furnace problems are too big to ignore—call Peninsula for repair today! One of the most important things we recommend to furnace owners is that they have their furnaces inspected just before the start of the heating season. In our experience, a furnace inspection is the best way to make sure it will last all winter long. Why should you have your furnace inspected? Furnaces typically don’t do well if you just throw them on after they’ve been sitting idle for the better part of the year. A furnace inspection from Peninsula will help pinpoint any problems that may have developed over the spring and summer and fix them up before they cause major problems. Furnaces never break down on an unusually warm day during the winter—it’s always the coldest day of the year when you suddenly wake up with no heat! A furnace inspection is the best way to prevent this situation, so call Peninsula today! As reliable as properly installed furnaces are, they don’t last forever—the good ones will last anywhere from 10 – 15 years. So when it comes time to replace your furnace just call Peninsula! Our furnace replacement experts can remove your old unit and replace it with a brand new, more energy-efficient furnace that will last you for years. Not sure if you can afford a furnace replacement? Your Peninsula technician will work with you to determine which oil furnace fits your budget. Remember—higher efficiency furnaces may cost more up front, but the money you’ll save over time often more than makes up for the initial costs! No matter what your oil furnace needs in Delaware or Maryland, the certified professionals at Peninsula can provide the services you need. Give us a call today at 302-629-3001302-629-3001 or click here for an estimate! To find out more about oil furnace installation, contact us today!